Know About Builder History by their previous-ongoing projects /Records. The piece of land in question may be under litigation. Hence, it is recommended that you do an extensive verification of the builder. You could verify its past or current projects or even post queries on the various online real estate forums. Once you zero in on the property, check the builder's paperwork ranging from commencement certificate for work, environmental clearance and approved building plans. Also ask for the status of the land title and see if the builder has bought the land or has just development rights for it. Here is a list of documents you should check. Do not go buy what the tell you. Many times they just mention the basic cost and not other factors such as internal/external development fees, preferential location charges, parking/club/statutory charges, and service tax, which escalate the total cost. Ask for the final cost of the property. Builders generally mention super built-up area in brochures. This includes common areas such as staircase, lobby, etc. The carpet area of the flat could actually be 30 per cent less than the super built-up area. 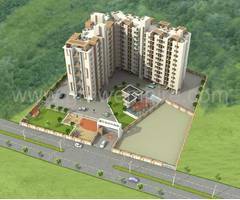 For example, a two-BHK 1,000 square feet flat could actually be just 700-750 square feet. It is advisable to always go by the carpet area, the area enclosed within walls. The layout in the brochure could be different from the reality. So, do a thorough site visit before booking the property. Interact with people in the neighbourhood as they may know about any illegal occupation or other legal disputes related to the property. After selecting the property, you have to register it with the authority concerned for you to become its lawful owner. Determine whether one is buying a property when the real estate market is rising or in dip / decline. The crucial point here is the demand and supply situation in the area of your interest. You have to identify or shortlist a location within the city. How far it is from your office? Is it close to the school or children park? Is it at a walk-able distance from the railway station or Airport? What future does this location holds? Whether originals are available for inspection if no loan is taken? Photocopy of Society share certificate & Society registration certificate. Buying a resale property is quite advantageous- no project delays, ready-to-move-in property and no service tax/VAT burden. Before buying a resale property that is quite old and attracts additional maintenance charges by the society, one should meet the society's office bearer to know more about it. Resale properties are likely to be discounted. They have more flexible payment options. For properties aged over 18-20 years, there are possibilities of them being unregistered and registering in the current period will add to the buyer's burden in terms of stamp duty and arrears. A buyer of a resale property should consider the parking space, plumbing, electrical etc. A resale property will ostensibly attract expenses for repairs- renovation, labour charges, electrical refurbishment, plumbing, fittings etc. Also acquiring a home loan for a property that is older than 50 years can be quite strenuous. A resale property might miss out on the contemporary features, specifications and amenities.